The Julius Nyerere International Airport during the night. The reinforced concrete roofs at Terminal II are designed to resemble a forest canopy. Terminal III under construction as of July 2015. 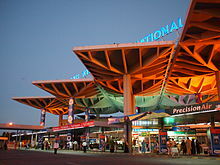 In October 2005, "Dar es Salaam International Airport" (DIA) was renamed "Mwalimu Julius Kambarage Nyerere International Airport" and on 1 November 2006, "Julius Nyerere International Airport". A total of 9,501,265 passengers used the airport from 1980 to 2004, averaging 2,770 passengers per day. In April 2013, the Tanzania Airports Authority signed a TSH 275 billion contract with BAM International of the Netherlands for the construction of the first phase of Terminal III, with a capacity of 3.5 million passengers per year. In November 2015, the second phase was also awarded to BAM, at a contract price of US$110 million, and will add capacity for an additional 2.5 million passengers per year. After completion of Terminal III, it is expected that Terminal II will be devoted solely to domestic passengers. It is proposed to build a rail shuttle link from the airport to the city and rail coaches have already been bought for this (2014). Notes: 1: Some of KLM's inbound flights from Amsterdam to Dar es Salaam make a stop in Kilimanjaro, while others are nonstop. However, the airline does not have traffic rights to transport passengers solely between Kilimanjaro and Dar es Salaam. 2: Swiss International Air Lines' flights from Zürich to Dar es Salaam make a stop in Nairobi. However, the airline does not have traffic rights to transport passengers solely between Nairobi and Dar es Salaam. As of February 2018[update], the construction of Terminal 3 which is expected to raise current passenger capacity at JNIA from 2.5 million to 9 million annually, is expected to conclude in October 2018, according to the Tanzanian Minister of Works, Transport and Communications, Professor Makame Mbarawa. In March 2019, the new Terminal 3 pictures were released. By May 2019, the new Terminal will be opened. On 3 January 1950, United Air Services flight, flying an Avro Anson C.19 with registration VP-TAT, crash landed at Dar es Salaam International Airport killing both cargo crew members. On 18 May 1989, an Aeroflot flight flying an Ilyushin 62 was hijacked by a South African after the plane took off from Luanda, Angola. The hijacker was armed with a grenade and attempted to hold hostage the occupants of the plane that carried members of the African National Congress. The Hijacker was shot by a security guard as he attempted to enter the cockpit. The plane continued its scheduled stop at Dar es Salaam International Airport. On 11 April 2014, Kenya Airways flight KQ-482 flying an Embraer ERJ-190AR had a landing accident upon landing in heavy rains. The plane veered off the runway. All passengers and crew were evacuated, there were no reported fatalities and 3 passengers sustained minor injuries. ^ a b "Consolidated Traffic Statistics" (XLSX). Tanzania Airports Authority. Retrieved 1 December 2017. ^ a b Zacharia, Alfred (13 February 2018). "Government says no more delays in JNIA work". The Citizen (Tanzania). Dar es Salaam. Retrieved 14 February 2018. ^ ""Main airport changes name, yet again"". Retrieved 30 May 2017. ^ "DIA becomes Mwalimu JK Nyerere..." Retrieved 30 May 2017. ^ a b Andy Brown (19 June 2018). ""BAM wins contract for phase 2 of Dar es Salaam airport", ''International Construction'', KHL Group, reported by Mike Hayes, 30 October 2015". Khl.com. Retrieved 1 July 2018. ^ UK, DVV Media. "New Zealand trains sold to Tanzania and Zimbabwe". Retrieved 30 May 2017. ^ "Airline Operators". Tanzania Airports Authority. 2014. Retrieved 24 September 2014. ^ "Air Tanzania resumes Entebbe / Bujumbura service from late-August 2018". Routesonline. Retrieved 11 January 2019. ^ a b "Air Tanzania resumes Harare / Lusaka service from late-Feb 2019". Routesonline. Retrieved 11 January 2019. ^ Liu, Jim. "Air Tanzania expands domestic network offering from April 2019". Routesonline. Retrieved 16 April 2019. ^ "Air Zimbabwe (UM) #438 ✈ FlightAware". Flightaware.com. Retrieved 1 July 2018. 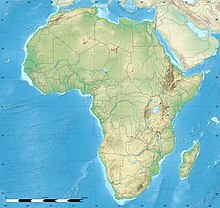 ^ "Fastjet launches sixth route in Tanzania". The Citizen. 30 January 2018. Retrieved 30 January 2018. ^ 2017, UBM (UK) Ltd. "Fastjet network changes from Dec 2016". Retrieved 30 May 2017. ^ 2017, UBM (UK) Ltd. "Oman Air S17 changes as of 09MAR17; Singapore suspensions". Retrieved 30 May 2017. ^ "PrecisionAir - Home". Precisionairtz.com. Retrieved 1 July 2018. ^ "Lion Air Cargo flight LE 3720: Multiple routes". FlightMapper.net. Retrieved 1 December 2017. ^ "Baaa-Acro Archives 1950". Baaa-Acro. Archived from the original on 12 June 2015. Retrieved 11 June 2015. ^ "Ilyushin 62 Aeroflot Hijacking Description". Retrieved 11 June 2015. 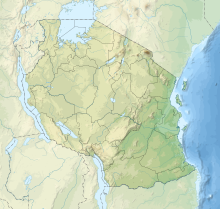 ^ "3 injured in Tanzania KQ plane mishap". Capital FM. 11 April 2011. Retrieved 11 June 2015. Airport information for HTDA at Great Circle Mapper. Airport information for HTDA at World Aero Data. Data current as of October 2006.